Our shiny new digital press has arrived and it’s so large that we had to build a new room in which to house it! 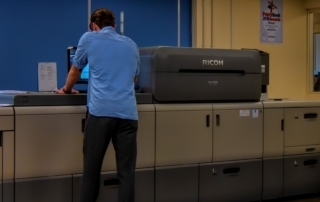 Launched last year, the Ricoh ProC9200 is eight metres long and can print up to 9,000 pages per hour; it is Ricoh’s flagship printer and has been designed to deliver the highest quality finish demanded by today’s exacting standards, at a fast pace. We’ve had this press on order since it was released and we’re really excited about its next-generation capabilities, particularly the capacity to print large sheets up to 1260mm with excellent colour saturation and image quality. The press is also extremely versatile. For example, we can use it to print both sides of board up to 470gsm, and it can be used for textured media, envelopes and translucent stock. A dedicated new room has been constructed here at Nationwide Print HQ, and the team will undergo a full week of specialist training to help us get the most out of our new piece of kit. The impressive machine compliments other recent purchases, including a new Komfi B2 Laminator, a Duplo Perfect Binder, a Duplo Saddle Stitching Machine and two creasing and folding machines, along with a complete upgrade of our Tharstern MIS system. 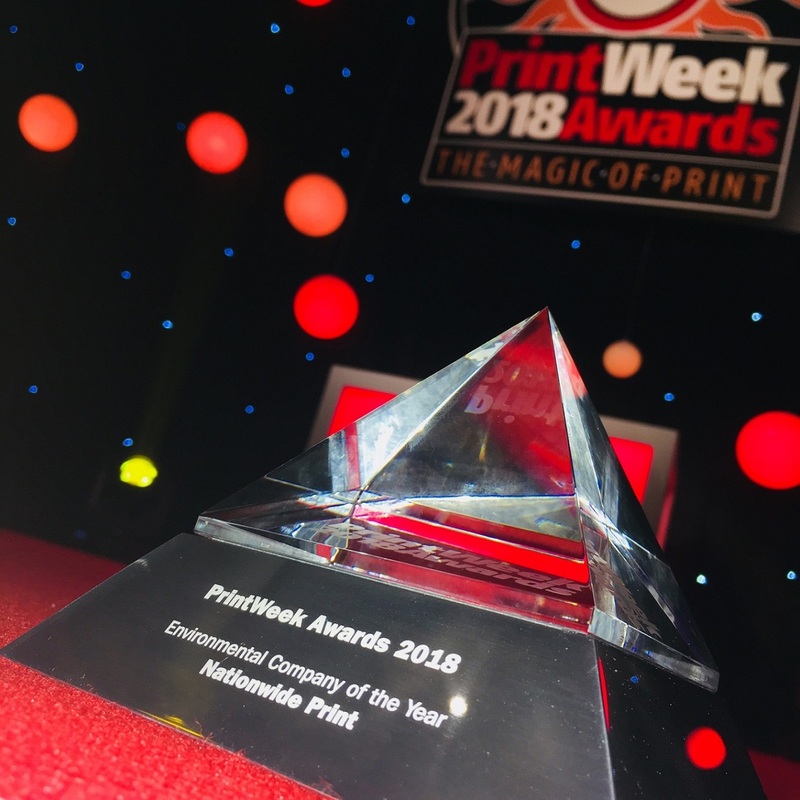 All these power-hungry technologies are run using solar energy generated by a large roof array; we officially became the UK’s most environmentally-friendly printer last year, winning the coveted title at the 2018 PrintWeek Awards. Our daily lives are now saturated with every form of digital marketing imaginable – some of it engaging, creative and informative, and some of it alienating, irritating and even misleading. The digital world is fast-paced and impactful, yet also totally ephemeral and forgettable. This is a real danger for companies who have put all their eggs in one basket, and are now struggling with customer acquisition and retention online. Add to this the increasing cost of digital marketing in pay-per-click terms, and the new data protection rules under GDPR, and it’s unsurprising that big brands are taking another look at that most retro of marketing channels; paper and ink. Over the last few years there has been increasing interest in the brand publication as the counterbalance to transient online culture. 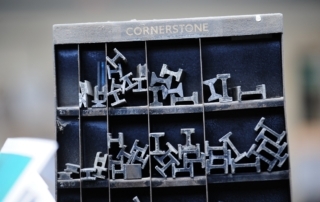 To create a last impression – for example marking milestones or celebrating legacy projects – or to demonstrate their core values and purpose-led principles, major brands are increasingly turning back to the analogue world of the printing press to create beautiful publications which have an aura of craftsmanship, value and longevity. Brand magazines offer quality editorial content and eye-catching design without an overt sales agenda. They tell stories around the periphery of a brand and build a sense of community buy-in. Some are so successful that they have gone on sale and become collectable coffee-table essentials. So, if brands like Kodak, Facebook, Red Bull and Airbnb are doing it, should you? This annual journal delves into the museum’s permanent collections and temporary exhibitions, sheading light and revealing unexpected connections with essays and illustrated articles by historians, curators, journalists, poets and artists. Production Manager Matthew Pascoe attended the glittering ceremony at the Grosvenor House Hotel in London on 22nd October, when he was presented with the trophy. Julian took part in an Eden Project initiative, the Green Foundation, in 2010/11 which set Nationwide Print on an exciting new course. His participation kick-started a series of bold investments in green technology and energy saving measures, included the installation of two large solar arrays, energy-efficient office lighting, exterior cladding, the purchase of a fully electric e-Golf and many other small-scale initiatives. Despite housing a highly energy-intensive operation, our HQ is now a net-contributor to the grid, producing more energy annually than it uses. If you would like to discuss working with us please give us a call on 01726 72548 or email estimating@xhostcustomers.co.uk, and become part of the green printing revolution! We were pleased to take receipt earlier this month of a brand-new Volkswagen e-Golf, as we strive to live up to our reputation as the UK’s most environmentally friendly printing firm. The new, 100% electric vehicle will be charged using power generated by a large solar array on the roof here at Nationwide Print HQ, and used for local meetings and small deliveries. The e-Golf was pre-ordered with Inchcape Volkswagen Exeter – the nearest local stockist – last year, and installation of the electric charging point has been overseen by Ecodrive, Cornwall’s electric vehicle specialists. The e-Golf has been specifically purchased to minimise the environmental impact of short trips. We meet with our Cornwall-based clients regularly to help them plan integrated marketing campaigns, and we also offer a turbo printing service for short digital print runs; using an electric vehicle for these journeys will immediately reduce our carbon footprint even further. With a range of up to 186 miles, the fully electric vehicle is a practical investment and will be put to work for regular trips to clients such as the Eden Project and St Austell Brewery. The Volkswagen e-Golf looks and feels almost exactly like a regular Golf – which is Europe’s best-selling car model – with the addition of stylish blue LED lighting; it has received positive reviews so far from the motoring press and is likely to become an increasingly common sight on our roads. Our e-charging point here on the Holmbush Industrial Estate is open to the public, who are welcome to drop in and recharge their vehicles in the knowledge that their journey is powered by green energy and driven by zero emissions. Introducing Our New ‘Cutting Edge’ Kit! Last week we announced that, in order to fulfil our ambitions of further growth and expansion this year, we have taken receipt of three new pieces of high performing kit and associated software; a total investment of over £200,000. The purchase of a brand-new Duplo booklet maker and perfect binding machine, and a Morgana creaser, folder and perforator will help our hard working team keep up with orders from current clients, as well as attract new business in the year ahead. The new equipment will allow us to produce a wide variety of booklets and books with improved speed and efficiency, to an extremely high standard. The machines will integrate perfectly with our existing litho and digital printers, and are extremely versatile pieces of kit. The arrival of these top-of-the-range machines and software reflects sustained growth here at Nationwide Print, as we continue to fulfil orders from our local customers – including the Eden Project, St Austell Brewery and Made For Life Organics – as well as global brands including Armani and Rolex. 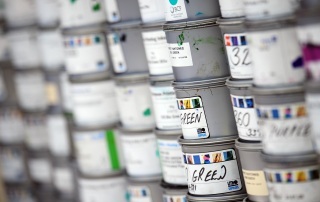 Nationwide Print has withstood tough times for the printing industry thanks to committed innovation and investment, and a focus on environmental sustainability. The future looks bright and the new machines – run on clean energy – look set to be busy for many years to come! We are proud to become the first printer in the country to use a pioneering digital marketing tool, having invested in Ricoh’s MarcomCentral marketing asset management software. The innovative system is designed to allow businesses with multiple sites and complex needs to streamline the process of designing and ordering printed collateral, via an easy-to-use online platform. The software will help organisations control their brand and budget more effectively, as everything is stored in one central and secure portal. We are really excited to be launching this new system, which will help us improve efficiency for existing customers, as well as reach new markets. We will be using this new technology to grow our business – particularly in the travel and leisure sectors, as the system is ideal for hotel and restaurant chains. Innovative digitisation will allow us to expand, employing more people and up-skilling our workforce, contributing to Cornwall’s future economic growth. St Austell Brewery is already exploring the capabilities of the system, which links seamlessly to our digital printers and significantly reduces manual handling between client orders and final print. If you would like to find out more about how Nationwide’s marketing asset management system could benefit your business, email mail@xhostcustomers.co.uk. 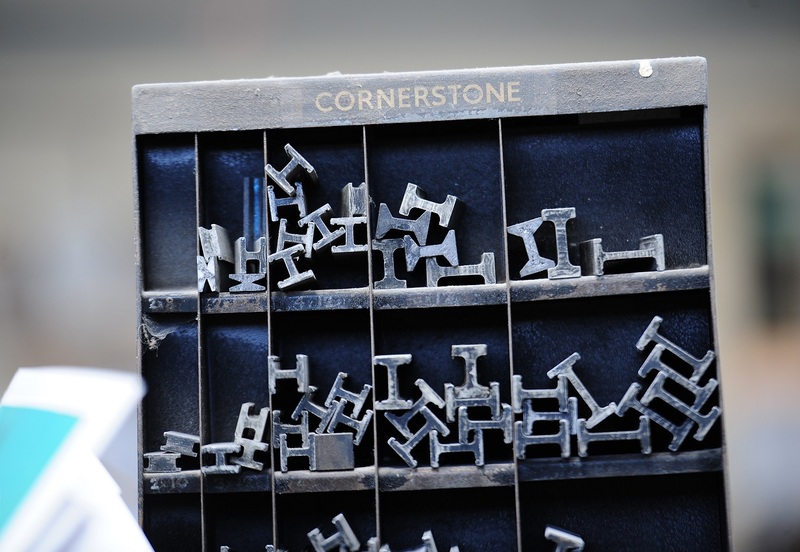 I was 16 years old when I started out in the printing trade… By chance I took a job packing boxes at a printing firm in Truro, and before long I was promoted to Machine Minder on an old Letterpress Printing Machine. The industry was very different back then and individual jobs took a lot longer, but I found the whole process fascinating. Right from the start I loved creating something out of nothing, and the fact that every individual job is different. I’ve moved up through the ranks, and diversified… The first part of my career was spent as a Machine Minder, both at printing companies and in various in-house positions (these days printing equipment is so specialist and expensive that most organisations – even the largest – outsource it.) In the second half of my career I took a step sideways; I’ve been working on the production side of things for 20 years, the last four with Nationwide Print. I’ve seen incredible changes in the industry over the years… I’ve seen Lithograph presses replace Letterpress machines, and the rise of digital printing – which has quickly become a dominant force. I’m always ready to embrace change, which is lucky as the print industry is evolving faster than most! It’s exciting to see the spirit of innovation – led by companies like Nationwide Print – take hold and transform an industry through new products and ideas. Olivia Harriss, Operations Manager at Made for Life by Spiezia Organics, choses Nationwide Print in St Austell to fulfil the skincare company’s printing needs; it’s a partnership built on environmental principles as well as good business sense. Can you give us an idea of what your Nationwide Print order book looks like? 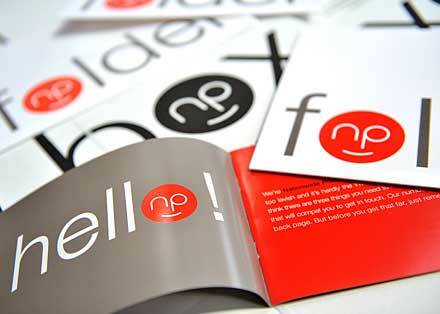 We order a very diverse selection of printed material from Nationwide. There are some long-run jobs, such as our Prescription Cards (treatment information) and point of sale material – which are uniform and distributed at our Spas across the UK. Then there are treatment menus, which are specific to each spa, and training manuals for our new therapists; these require smaller, bespoke print runs. We also use Nationwide for specialist jobs; these could be anything from the tiny inserts in sample product packaging, to very large banners for use at trade events such as Professional Beauty. What do you most value in a printer? Customer service is incredibly important, and Nationwide Print offer the best customer care of any printer that we have come across. We also value the fact that they are a fellow Cornish enterprise – we work in partnership with as many Cornish businesses as possible in order to nurture that positive feedback loop. Finally, Nationwide Print share our commitment to the environment. Sustainability is a founding principle of Made for Life by Spiezia Organics and Nationwide’s investment in renewables, energy saving and clean technology – as well as their Forestry Stewardship Council accreditation – helps us to minimise our impact on the world we live in. 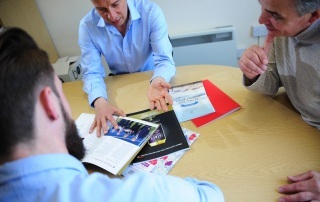 Are there specific benefits of using a local SME rather than a larger printing company based outside Cornwall? 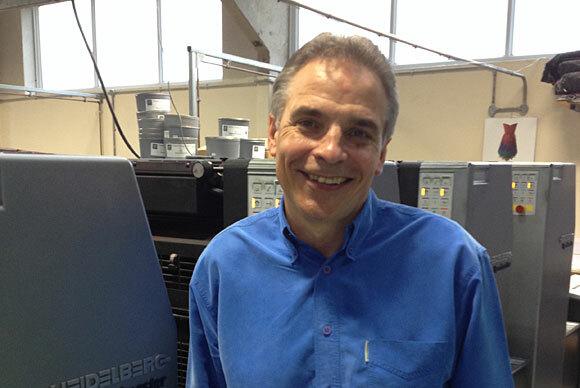 MD Julian Hocking attended PrintWeekLive! 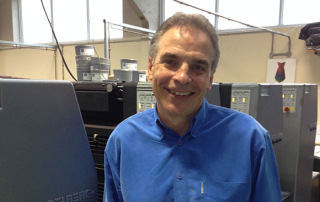 in Coventry this month; the first event of its kind for the UK printing industry. Julian was asked to take part in a panel discussion focusing on achieving success in a rapidly evolving sector. 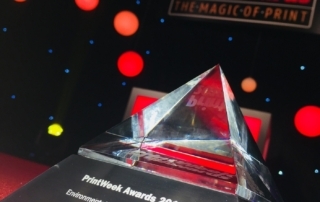 The inaugural PrintWeekLive! – billed as a show ‘for the industry, by the industry’ – took place at Wasps Arena in Coventry on 7th – 8th March. 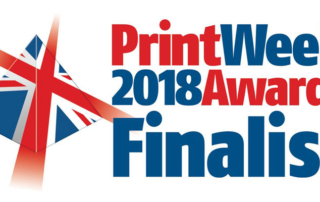 Organised by PrintWeek, the leading publication for the printing trade, the event was designed as a showcase for technological advances, an arena for sharing best practice, and an opportunity to network and do business. Over 2,000 people visited the event over two days, where they browsed a show floor featuring brands such as Ricoh, Canon, Heidelberg and Xerox. We used the event to make sure that we knew and understood the capabilities of the new technology coming onto the market. We are currently looking at investing in some cutting-edge digital finishing equipment, and we made some useful contacts in that area. 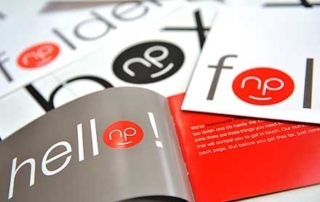 It’s crucial that we keep up with rapid changes in printing technology; it’s one of the many reasons that our clients – local, national and international businesses – stick with us. A conference schedule boasting inspirational speakers covered topics including ‘The Changing Role Of Print In A Multichannel World’ and ‘Blurring The Line Between Digital And Print Marketing’. Julian was asked to take part in the panel discussion ‘Small Is Beautiful’. We are big fans of the #brandpublication for creating a sense of community and telling the story behind the product… t.co/qugJLKTGvv Time ago 19 Hours via Hootsuite Inc.